3. Murzakhanova S. J. Control of power quality// Bulletin of the Karaganda University. Physics series, March 30, 2015./ Karaganda, Ed.- at E. A. Buketov Karsu, 2015. 4. 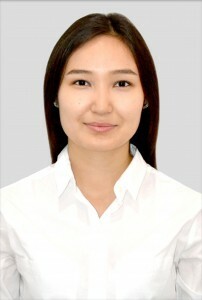 Murzakhanova S. Zh. Measurement of electricity quality indicators.// Contribution of youth science to the implementation of the strategy “Kazakhstan-2050″, Abstracts of the Republican student scientific conference, Karaganda, April 16-17, 2015./Karaganda state technical University, 2015.